Mechanicstown drivers can make the short trip to Middletown Honda to experience the 2015 Honda Accord Sedan. This midsize car is finally available, and we’re confident that it’s going to be a big of a hit as its well-regarded predecessors. Its impressive feature list, refined interior, and exceptional efficiency all make it a great choice for families and individuals alike. We realize that Mechanicstown drivers have other options, though, and one vehicle you might find yourself considering is the 2015 Toyota Camry. How do these two cars compare to one another? LX – Starts at $22,105. * The LX gives you Bluetooth phone and audio connectivity, a rearview camera, an eight-inch infotainment display, and a four-speaker sound system. Sport – Starting at $23,865,* the Sport model gives you a slight power boost over the other models equipped with the four-cylinder engine, bumping output from 185 hp to 189 hp thanks to dual exhaust. As far as features go, it adds a ten-way power-adjustable driver’s seat, a rear spoiler, and a leather-wrapped steering wheel, among other things. EX – The EX starts at $25,030* and gives you nifty additions like heated mirrors, a sunroof, keyless ignition and entry, a leather-wrapped steering wheel, and a six-speaker audio system. EX-L – Starting at $28,420,* the EX-L gives you leather upholstery, memory functions for the driver’s seat, a power passenger seat, an auto-dimming rearview mirror, and a seven-speaker sound system with a six-inch touchscreen display. Touring – The Touring trim level is only available with a V6 engine. Starting at $33,630,* it adds adaptive cruise control, LED headlights, and a navigation system with voice recognition. LE – Starting at $22,970, the LE gives you a rearview camera, a 6.1-inch display, and Bluetooth. SE – Starting at $23,840, the SE adds unique exterior styling, upgraded gauges, and a leather-trimmed steering wheel. XSE – Starting at $26,150, the XSE comes with leather and simulated suede upholstery, LED running lamps, and a four-way power passenger seat. XLE – Starting at $26,150,the XLE adds full leather upholstery and LED daytime running lights. The 2015 Accord Sedan has a slightly lower base MSRP than the 2015 Camry; and while their features are comparable, we think that most Mechanicstown drivers will be happier with what they’ll find in the new Accord. 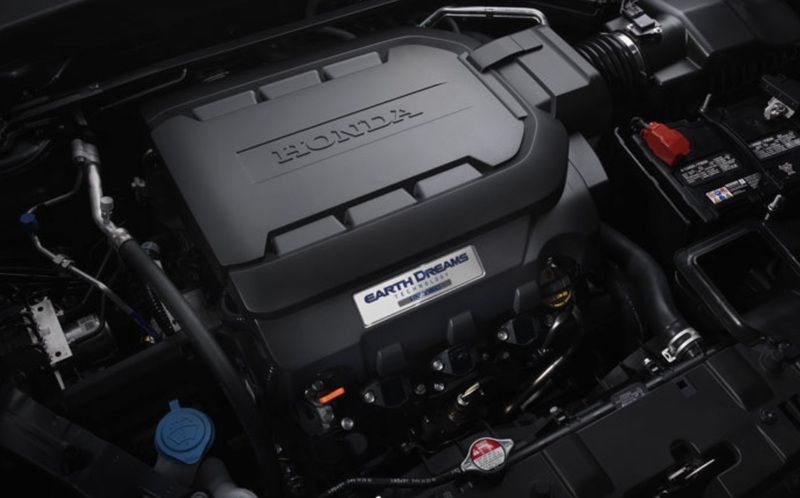 The 2015 Honda Accord Sedan and the 2015 Toyota Camry give Middletown drivers a choice of two engines. Both vehicles are only available with front-wheel drive.The base engine of the Accord Sedan is a 2.4L four-cylinder engine that produces 185 hp (189 hp with the Sport trim) and 181 lb-ft of torque. Drivers who want more power should be satisfied with the 3.5L V6, which churns out 278 hp and 252 lb-ft of torque. 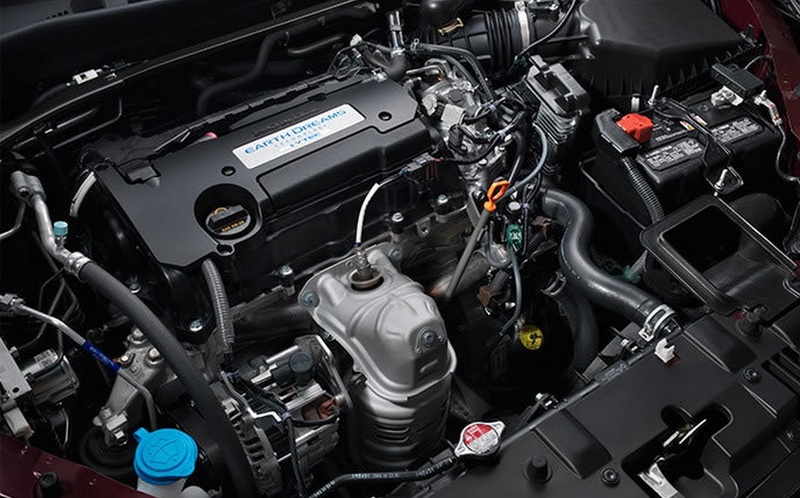 The four-cylinder engine is available with either a six-speed manual transmission or a CVT; the V6 comes paired to a six-speed automatic transmission. 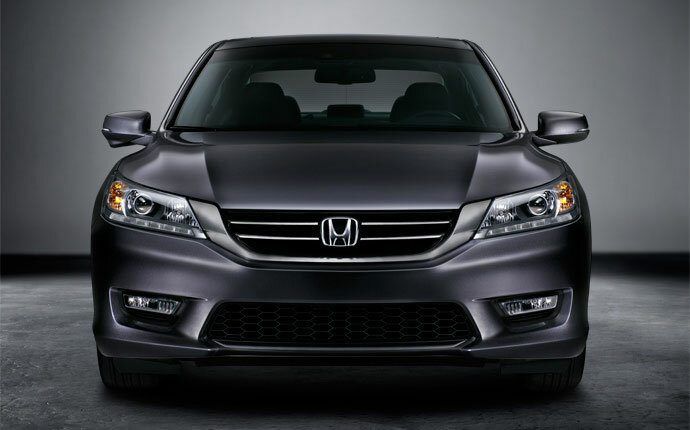 Both Accord engines offer more power than their counterparts on the Camry. But what of their efficiency? 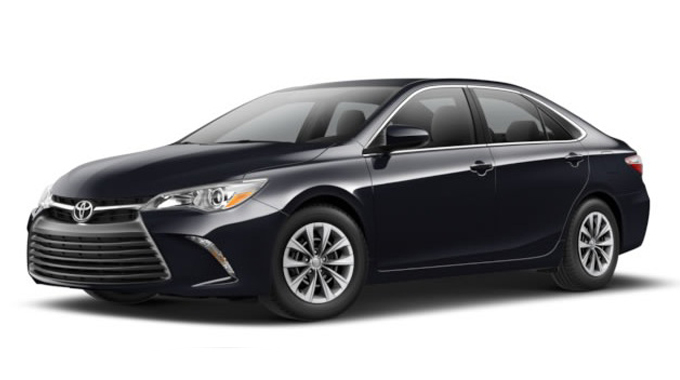 A 2015 Toyota Camry equipped with a 2.5L four-cylinder engine manages 25 mpg city/35 mpg highway, while a V6-equipped Camry offers 21 mpg city/31 mpg highway. 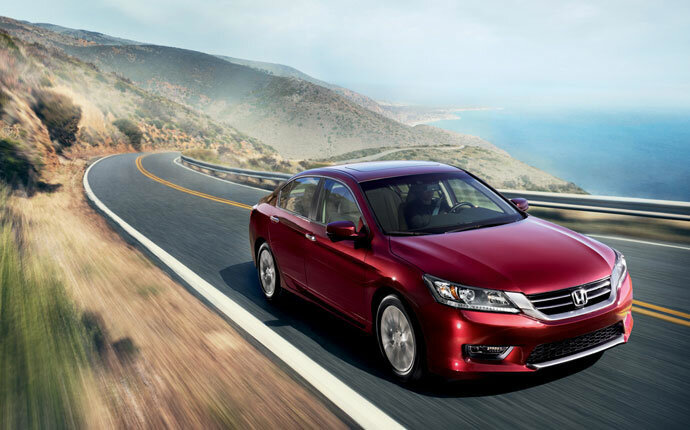 When it comes to mpg ratings, both engines in the 2015 Accord Sedan outclass both offerings in the 2015 Camry. 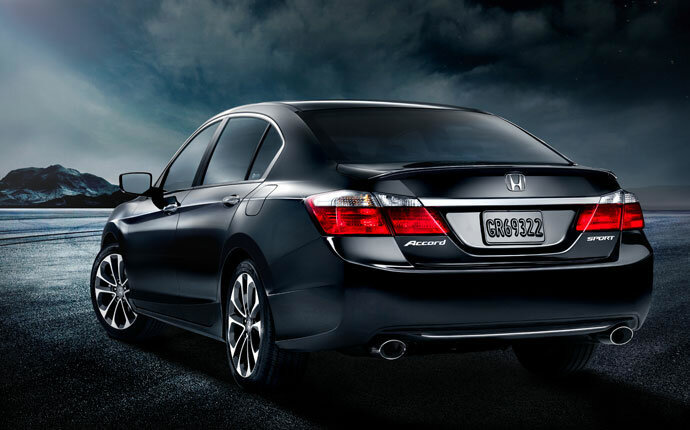 Safety has always been a hallmark of the Accord Sedan, and the 2015 edition is no different. It comes standard with stability and traction control, a rearview camera, the ACE (Advanced Compatibility Engineering) body structure, and anti-lock disc brakes. 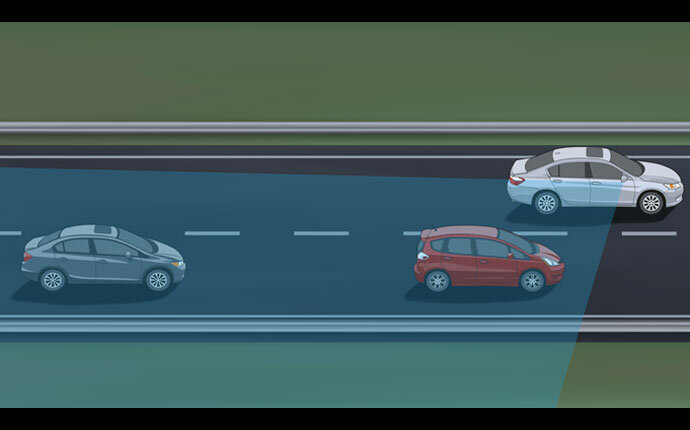 You can also add blind-spot monitoring, forward collision warning, and Honda’s LaneWatch system. The 2015 Toyota Camry also comes standard with anti-lock disc brakes, stability and traction control, and a rearview camera – but the ACE body structure is exclusive to Honda vehicles. 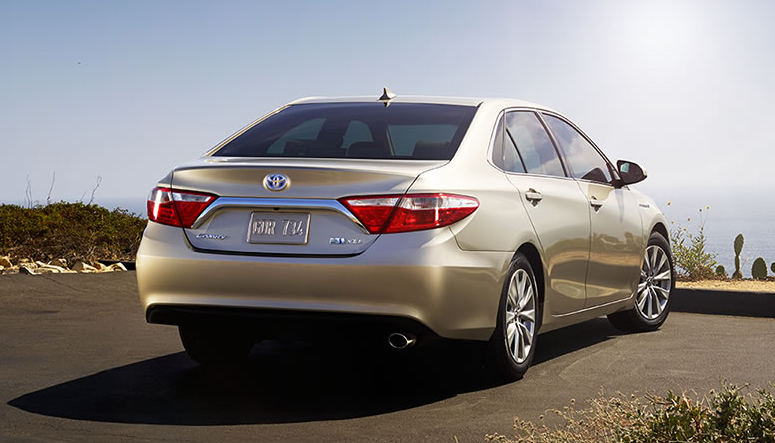 The Camry is also available with blind-spot monitoring and lane-departure warning systems. 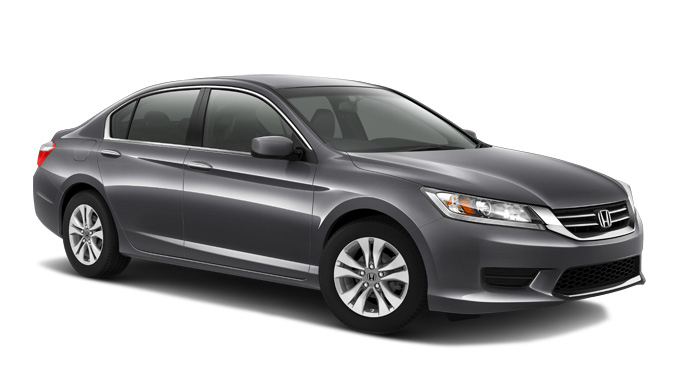 While the 2015 Toyota Camry isn’t the worst choice out there, the 2015 Honda Accord Sedan proves itself to be the better vehicle. Seeing — and driving — is believing, though, so we invite you to visit our dealership at 520 Route 211 E. in Middletown, NY to take the new Accord Sedan for a test drive. We’re just a short drive from Mechanicstown, and we look forward to assisting you! *MSRP excluding tax, license, registration, $790.00 destination charge and options. Dealer prices may vary. **24 city/34 highway/28 combined mpg rating for 4-cylinder Sedan 6MT models. 27 city/36 highway/30 combined mpg rating for Sedan CVT models. 26 city/34 highway/29 combined mpg rating for Sport Sedan CVT models. 21 city/34 highway/26 combined mpg rating for V-6 Sedan models. Based on 2014 EPA mileage ratings. Use for comparison purposes only. Your actual mileage will vary depending on how you drive and maintain your vehicle.